We don’t like to brag, but we’re great at fixing even the most damaged teeth. Dr. Joy Todd and our team enjoy helping people get their smiles back even if they thought they were long gone. Whether your teeth have been blemished by an accident or decay, we can repair them no problem. You can learn more about all of our restorative treatments below, and be sure to contact our office today so we can start rebuilding your smile. When it comes to repairing teeth, crowns and bridges are some of the most reliable and effective treatments we have. A dental crown can be used to restore a single broken/weakened tooth, while a dental bridge can replace a row of missing teeth. In either case, the result is always a beautiful, functional smile. We take pride in all of the restorations we place, so you won’t leave the office until both you and Dr. Todd are satisfied. A dental crown is a tooth-shaped restoration that simply slips over the top of your natural tooth. This is why it is often referred to as a “cap,” and it’s ideal for restoring both the function and appearance of a damaged tooth. The process to get one usually takes 2 simple visits. At the first one, your tooth will be shaped so the crown can fit securely on top of it. Then, an impression of your teeth will be sent to a lab so they can design and fabricate your crown. After a week, you’ll return to the office to have your new crown placed. While it’s being made, we’ll fit you with a temporary one so you’ll never be without your tooth. 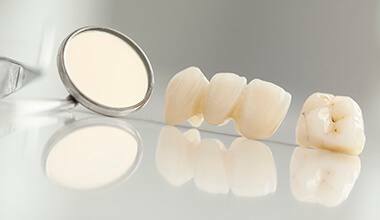 For a bridge, crowns will be fitted onto the teeth surrounding a gap in your smile. These will then be bonded to prosthetic teeth that will literally “bridge” the space between them. The process to get one is very similar to that of a crown, and it takes about the same amount of time. They can be made to be fixed or removable, and Dr. Todd will discuss all of your options when you see her. With the proper care and maintenance (brushing, flossing, and regular checkups), these restorations can easily last for 10 years or more. However, if you’re looking for an even more permanent solution, we can also offer you these treatments in conjunction with dental implants. Say goodbye to your old, dark metal fillings! 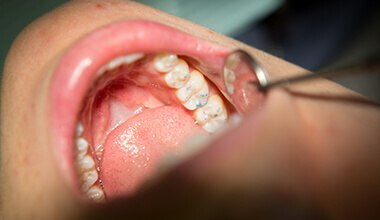 Tooth-colored fillings are how we fix slightly damaged and decayed teeth without leaving your smile packed with unsightly gray lines. As opposed to metal, tooth-colored fillings are made of a composite resin. One of the key things that makes them so special is that they can be shaded to perfectly match the natural color of your teeth. That means you’ll be able to talk, laugh, and eat without worrying about people noticing your metal fillings. They also do a better job of restoring your teeth’s strength. Traditional metal fillings do not actually bond to the enamel, so your dentist needed to create a pocket in your tooth for it to sit in, which meant they needed to remove more of its natural structure and weaken it. Tooth-colored fillings, however, bond directly to your teeth in a way that will not only make them look great, but last longer as well. 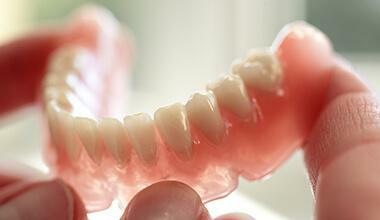 Modern day dentures are smaller, more comfortable, and more natural looking than ones from the past. They can be molded to give each patient their ideal fit and look so they can have a set of teeth they can truly be proud of. 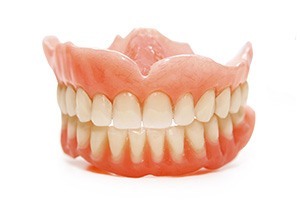 A partial denture can be used to replace missing teeth located throughout the mouth, while a full denture is ideal for people who are missing an entire arch of teeth. At Anderson Family Dental, we will always do everything we can to preserve your natural teeth, but sometimes an extraction is the best course of treatment. We’ll make sure to exhaust every other option before we remove one of your teeth. You can trust that we’ll handle your extraction with the utmost care and a gentle touch. In fact, thanks to local anesthetic, many patients barely feel anything at all during the procedure.